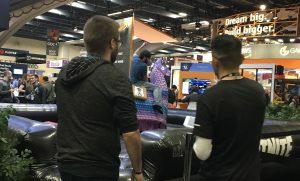 The Game Developers conference is considered the largest game industry event in the world. 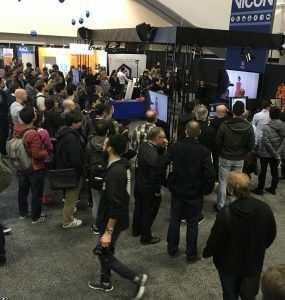 About 29,000 visitors attended GDC conference and exhibition. The attendees were mainly game developers, programmers, game designers, producers and professionals in the game industry. 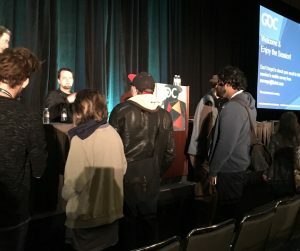 They gathered to find out the latest about development of the interactive games and the future of game industry in virtual reality. 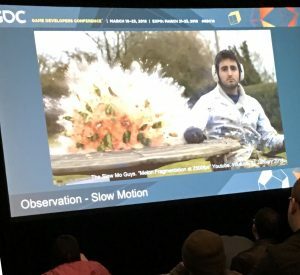 There were more than 600 lectures and tutorials on a variety of subjects such as VR and AR space for games, defining market innovations, tech toolbox, visual effect, the thinking process of creating beautiful design, designing interactive narratives on mobile, language ban system, machine learning, the art of microtalks, practical IP law, tech meets art, from game services to production pipeline, math for game programming, character control with neural networks, the visual effects technology, insights from tracking website visitors and experimental gameplay. Ryan Woodward from Riot Game discussed the Visual effect of the design, the thinking process of beautiful design. He said: “Don’t become a slave to the canned aesthetics, think it and feel it then make the software serve your mind.” He mentioned that his interests are: Figure drawings & dancing, Effect animation and Use of descriptive language. 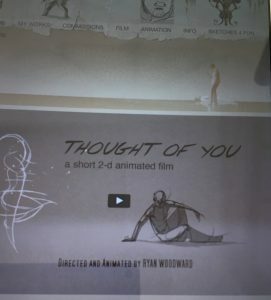 Ryan Woodward showed a beautiful 2-D animated film directed and animated by himself called: “Thought of You”. 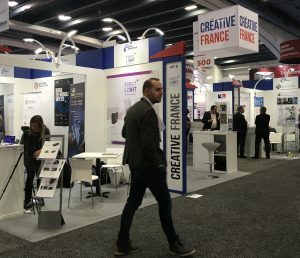 In the exhibition halls a variety of companies from startups to Fortune 500 from different parts of the world presenting their products and services. Microsoft sponsored session discussions on Fluffy Fairy approach to game development and directX: evolving Microsoft graphics platform. Face FX automatically generates gesture animations from audio and enhancing support for English, French, Italian and Spanish. Livre Paris is the largest book event in France that attracts more than 180,000 visitors each year. Academics, writers, translators, professionals from theatre and film industry, publishers, intellectuals, bookstores representatives and book lovers gathered together to find out about the latest in the book industry. There were a variety of professional meetings discussing the book industry; they discussed their latest issues in the trade. In the exhibition area, the representatives of different publishing houses discussed the effects of digitalization on the book industry. In the themed stages, there were a variety of interviews and performances where the writers, academics, artists and historians from around the world debated the issues related to “writers facing the world.” The professionals in the publishing industry took the stage to present some of their upcoming works. 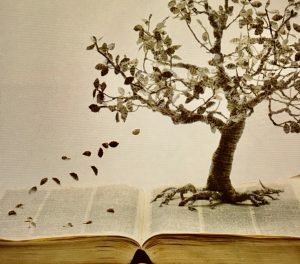 Each highlighted their vitality and creativity in integrating into the global market of the book industry. 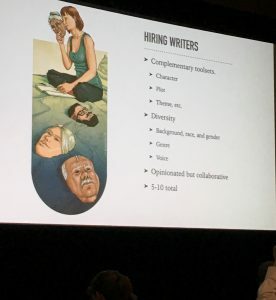 Christine Montalbetti, a French playwright who teaches at the University of Paris discussed her unique narrative style of engaging the audience. She is the writer of nine books including “Nothing but the waves and winds that has been translated to several languages. 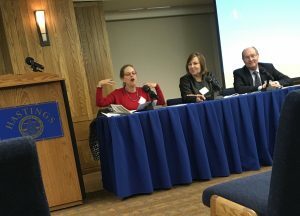 In the session “behind the publishing world” the experts testified on their style of their work. The professionals from Syndicat National de l’Edition discussed the ways of publicizing the scientific knowledge. 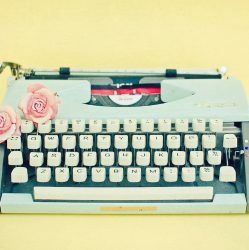 The literary works by a wide range of writers in different subjects such as economics, essays, memoirs and theatre were discussed. 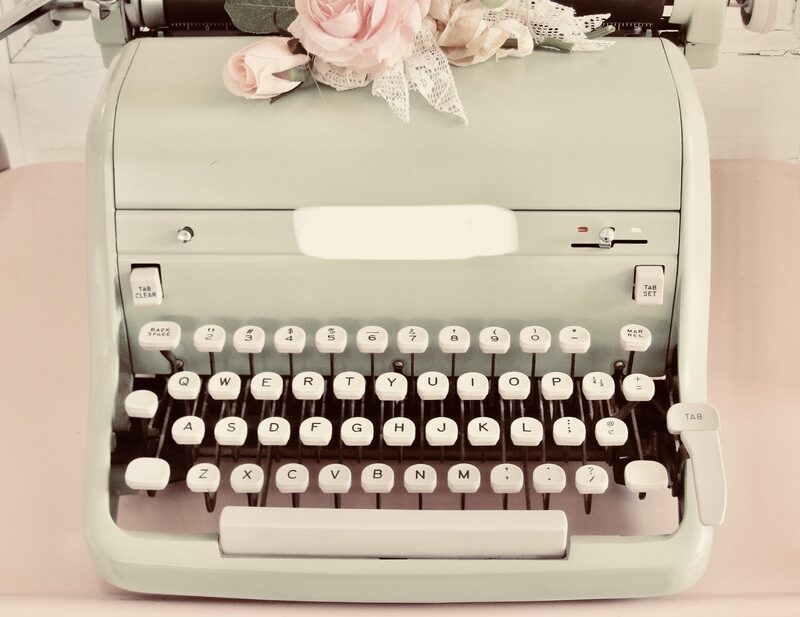 The emphasis was on the human aspects of the retelling the story and how the past behaviors of the characters in the story building their future. 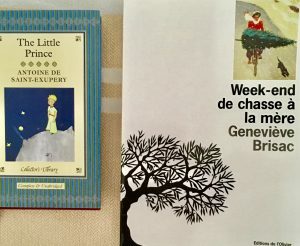 Michel Bussi, a French writer of detective stories who teaches geography at the university and his works are the bestsellers discussed his latest works. 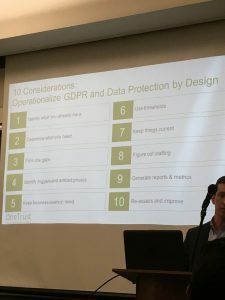 Global IP conference brought together the law firm partners, law tech experts and in-house counsel to discuss the operational challenges, litigation, E discovery, risk, the latest law technology and GDPR. 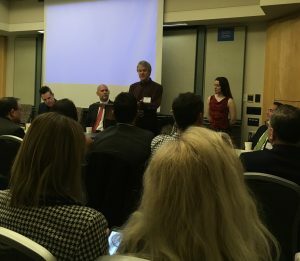 The speakers and panelists talked about USPTO’s plans for 2018, the tech enabled IP departments, patent eligibility of software related claims, the future of IP legal department, the future of law professions and technology, E discovery issues, GDPR and privacy by design, cross border IP licensing, IP risks in the cloud, blockchain technology and how to manage E discovery in the complex litigation. 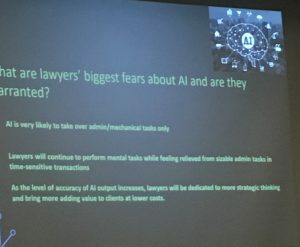 The keynote speaker pointed out that lawyers are afraid of “A word”:automation. 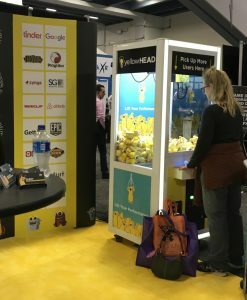 He emphasized that the goal would be automating the industry, not the legal profession. Discussing automation he said: “the goal is the smooth transition from legal profession to the legal industry”. 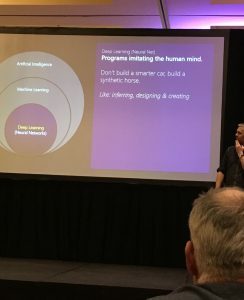 Wasserman from D4 discussed human intelligence & AI. He said: “AI reduces the amount of attorneys.” He added: “but robots replacing attorneys is a myth.” He mentioned that another common myth would be putting the eyes on every documents. He discussed traditional attorney review process vs Artificial intelligence review. 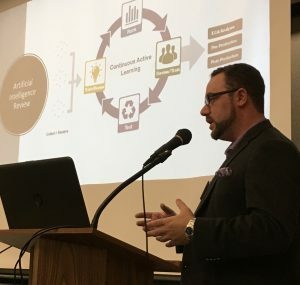 He said: “AI technology that we are currently working leverages cloud tools and is used for the internal investigation.” He emphasized the need of focusing on building a dynamic workforce and finding solutions for E discovery needs. Cloud & Big Data event was organized by Carbon Black and its Partner, VMware. 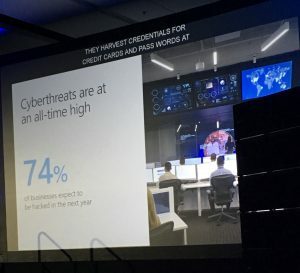 Carbon Black is a provider of next generation endpoint security. 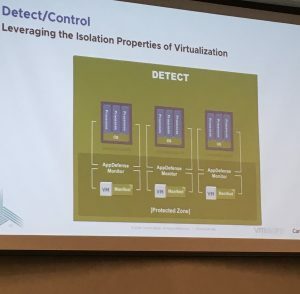 It has pioneered application control, EDR and NGAV in endpoint security categories. 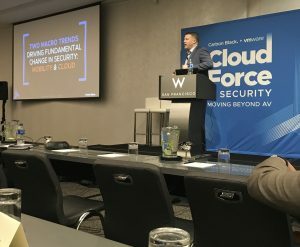 Global cybersecurity, hunting threats, replacing legacy antivirus, big data & the cloud, how to move security to the cloud, transforming security in the virtualized datacenter, cloud based endpoint security and the power of big data were discussed. 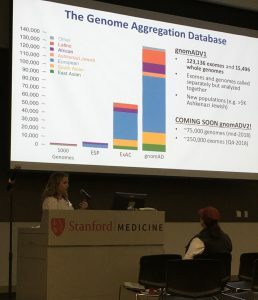 Technology Innovation and Human Genomics Symposium was organized by Beckman Center, Stanford University. The speakers were mainly academics from Stanford University, MIT and University of Washington. They discussed the impact of technology on biology, theory and big data in genomics, DNA sequencing in human genetics and cancer genomics, human genetic data, lossy compression of genomic data and the result and precision medicine. 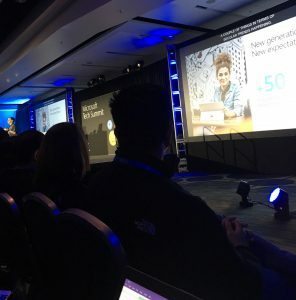 Tech companies such as Google, Facebook and Microsoft working on projects in genomics and collaborating with academics for more agile, easier manageable approaches, reducing the cost and complexities and achieving local compliance in the cloud. 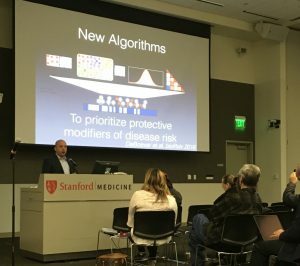 Gabriel from Board Institute, the MIT and Harvard that are among the biggest producers of human genetic data discussed optimizing new technologies and analysis tools in genomics platform. 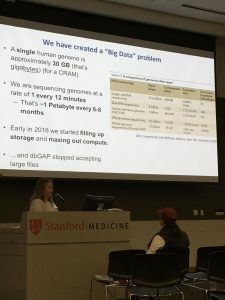 She talked about using genomics techniques for better understanding of the genetic components of diseases. She explained the recent projects in Heart, Lung and Blood Institute Exome Sequencing. She analyzed characterization of DNA sequencing, Gene hunting in an isolated population, Common human variation in genome and Coding region of genome and non coding region of genome. She mentioned that currently they sequence 100,000 genomes per year. The next speaker, Rivas from Stanford University discussed human genetic data and Big data problem. 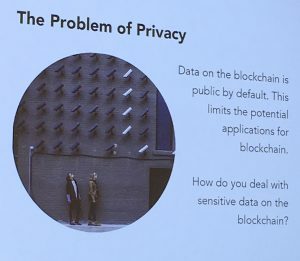 He said: “Cloud based data platform has solved many problems but security issue is still a big problem.” He discussed the challenges of genetic data aggregation: difficulties of moving data and objections to data sharing. The speaker discussed Finland, Iceland and UK Biobank in Oxford university and Massive datasets millions of individuals. He suggested that going from big data to small data can avoid the problems. He explained Human knockout that protects against asthma and Genetic variants that protect against human diseases. He said: “human knockouts are Hidden genetic gems that protect against diseases.” Gene knockout is permanent deactivating of a gene through genetic engineering. Gene knockdown are when genes are suppressed rather than deleted. It includes gene silencing and gene editing. Sequencing determines all the letters in a DNA sequence and as the result can reveal the mutations. the model of neuron networks for building algorithms. He explained how they work in computers and algorithms. 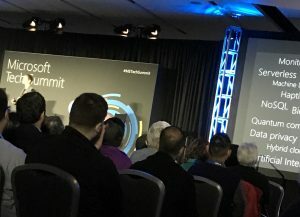 He pointed out that massive data is used for training a model and machine learning. He explained how data is converted to the common format and then compared and manipulated consistently. He talked about the process of Input, hidden factors and output and using neural networks as mathematical expressions. He explained how hidden layers and bias used in Mathematical expressions, Calculating costs and using Peyton base programming language in the process. 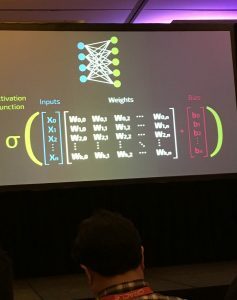 The speaker also discussed the activation functions on each recurrent neural network that can be used in voice recognition and generating music. He said that reliability is an issue especially in self driving cars that lack safety. 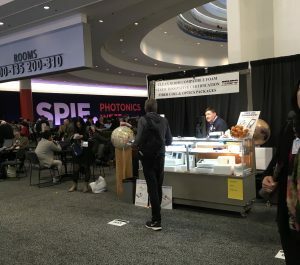 SPIE, Photonics West was organized by SPIE, the international society for optics and Photonics. It was founded in 1955 with the goal of advancing light based technologies. It publishes the SPIE digital library that contains about 500,000 research papers from the Society’s scholarly journals; it also publishes a wide variety of open access contents. 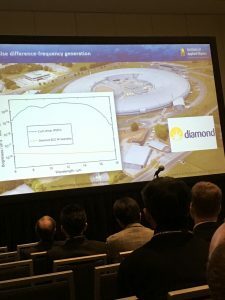 During the conference and exhibitions, there were more than seventy courses and workshops on Photonics therapeutics, Neurophotonics and optogenetics, Laser-Tissue interaction, Laser sources, Nonlinear optics and beam guiding, Photonics integration, Semiconductor lasers and LEDs, imaging, optical materials and fabrication. 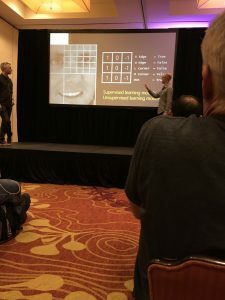 SPIE Brain discussions highlighted the development of innovative technologies that help us to understand the brain functions. The talks were chaired by David Boas from Boston university and Rafael Yuste from Columbia university. Photobiomodulation for the brain, adaptive micro endoscopy using liquid crystal lenses, investigation of vascular scattering patterns in retinal and choroid also OCT, non invasive therapy for traumatic brain injuries, long term imaging of living brain glial cancer cells, Alzheimer’s disease: evaluation using label free fluorescence, drilling progress of deep holes in tool steel, long fiber based multi channel NIRS system, three channel whole brain optical imaging for visualizing dual labeled inputs and outputs, and mapping the quantitative cytoarchitecture of the mouse brain by light sheet microscopy were discussed. 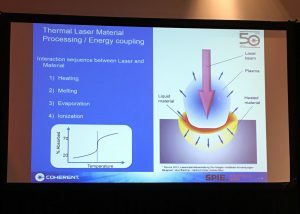 The panels and speakers discussed the latest research on laser manufacturing, laser material processing, diode, semiconductor lasers and 3D fabrication technologies. Power balance on a multi beam laser, laser material characterization, nonlinear pulse compression, Photonic crystal technology for compact fiber delivered high power ultra fast fiber laser, high power diode laser technology, laser direct writing, laser induced modification of glasses and 2D materials fabrication were discussed by the speakers. Jean Philippe Lavoie talked about basics of laser material processing. He explained what happens when a laser beam hits a material and the optimization of the process. 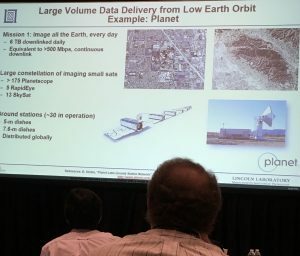 DTE : direct to earth pros and cons, Optical communications ranges and rates, Deploying all of the world, Potential future applications and Agreement between NASA and other countries. 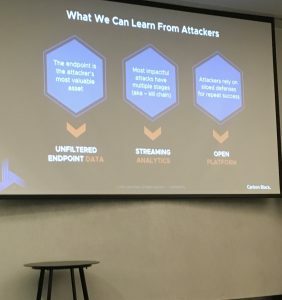 The next speaker talked about Facebook that is developing new methods for delivering the net by using lasers, drones and AI softwares: data that travels by lasers, sent to Earth from drones. After Facebook received an open letter by digital rights groups from 32 countries saying: “internet dot org violates the principles of net neutrality, threatening freedom of expression and privacy”, it changes its name to free Basics. 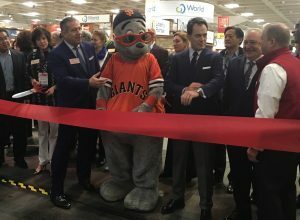 Fancy Food Show as the premier speciality Food Show on the west coast attracted international food experts, exhibitors and visitors to gather and discover the latest in specialty foods. 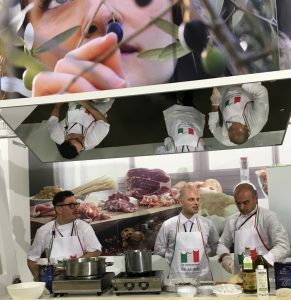 The main focus was on buyers and sellers of the speciality foods and there were some opportunities for entrepreneurs looking to start a new business in Food industry and investment. There were a variety of education sessions and talks. Donnan discussed the vacuum of information and trust. 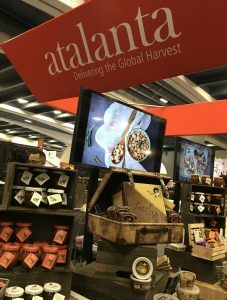 He emphasized the importance of authenticity and providing healthy and nutritious products. 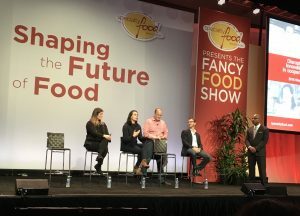 The panel talked about selling speciality foods and what’s driving sales in different channels and the future of food. And the next speaker emphasized supporting local producers especially if we live in a product rich area of the country. 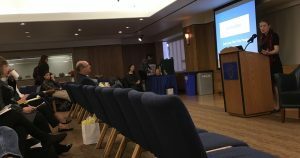 In Front Burner Foodservice Pitch Competition, three exhibitor contestants competed to be selected as the winner with the most potential achievement in food industry. The process was controversial and some members of audience disagreed with the judgment and even at one point they booed the judges. Daron Fitch emphasized on Non GMO and organic products. 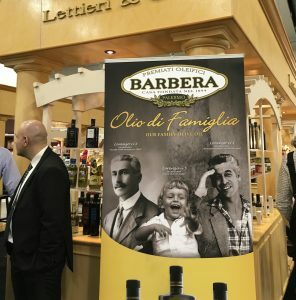 He presented Modena Pearls of balsamic vinegar. The second contestant, Gerard Bozoghlian also emphasized healthy and Non GMO products and presented Chimichurri Autentico. The last contestant, Agrawal presented achaar from India. Those who tasted all three products scored achaar the lowest, but the judges chose it as the winning product. The audience didn’t have the chance to taste them and compare. One judge expressed his concern about the health issues of spicy achaar. Leibowitz talked about Marin Carbon project and how they managed carbon farming system. In the exhibition hall, Kapiti from New Zealand introduced Kikorangi blue cheese. The representative said: “There is no genetically modified grasses in New Zealand and there is no artificial growth hormones in the milk.” Routes de TERRE, French truffles from off the beaten track have amazing taste. Lemon Plus squeezed and bottled in Sicily, Italy lasting since five generations. Ines Rosales from Seville, Spain has a unique taste. 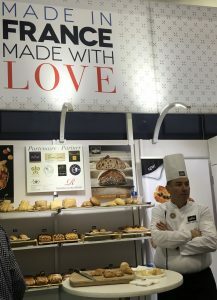 Le Bon Magot is a unique entry in speciality food industry. Pajama Sweets presented pistachio brittles, tasty Persian Sohan. 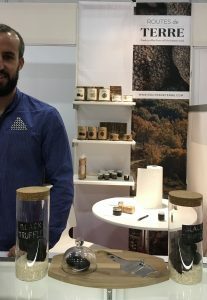 Franco Agro Negocios founded in 2003 in northern Mexico exhibited sun dried herbs and fruits. 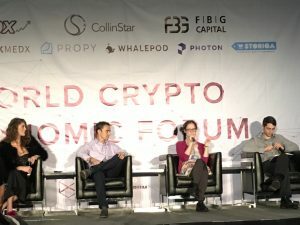 World Crypto Economic Forum was the first of a series of events to support the Blockchain economy and the goal was creating a global network of developers and entrepreneurs. 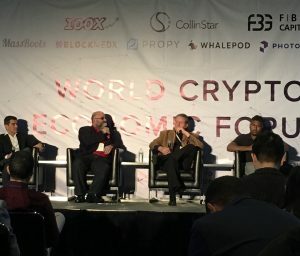 The panels and speakers discussed Blockchain and token ecosystem, decentralized and autonomous governance, transforming economy and society, Crypto macroeconomics, tokenomics, bitcoin and crypto investment, legal aspect of token sale, emerging technologies in Blockchain industry and tokenizing real world assets. The speakers emphasized decentralization. In a Centralized system, decision making is in a few hands, but in a decentralized system, the decision making process is at all level. Cosman discussed Tokenization benefits, Network effects, investment worldwide and liquidity premiums. 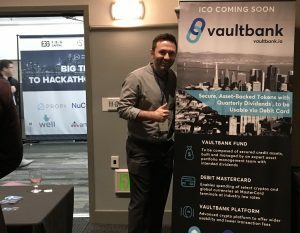 He pointed out that It can be traded on a global liquid exchange. 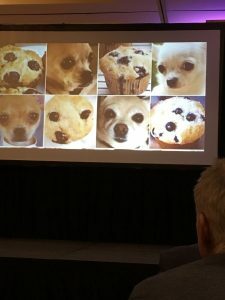 The next speaker discussed Blockchain and food. 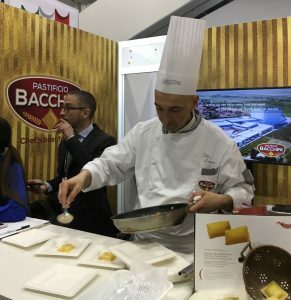 He said: “Blockchain technology is coming into the food supply chain.” He added: “Chemical preservation process of food and other information can be available in Blockchain.” He discussed Monetizing food data. 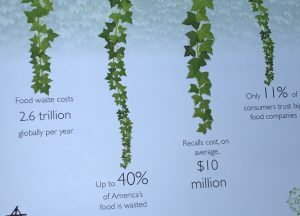 The cost of moving information with the products is high. 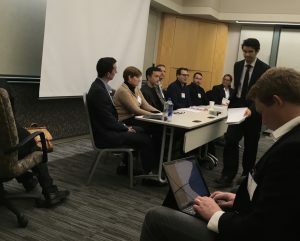 “Companies want to connect Blockchain with the information about the food and smart menu.” Then the vice panel talked about using bitcoin in gambling, weed and adult industry for the transactions. Because they don’t want the trace of the transactions in their bank or their credit cards records. Cryptocurrency is still controversial; some funneling their money into it and believe that it is the future and on other hand some call it fraud. 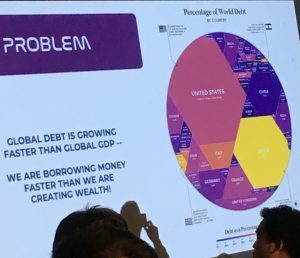 Warren Buffett once said: “cryptocurrency will come to a bad end.” Mike Slinn talked about polyglot ethereum, Multi computer languages, Producing business values and Developing libraries and frameworks. He mentioned that more information on Multiple polyglot shells is found on mslinn GitHub. Ethereum has its own currency: Ether. Those who believe in Blockchain platforms such as Ethereum argue that network of distributed trust will have a significant future. Some people such as Fred Wilson who was an early advocate of the Blockchain are against I.C.O.s and calling them all “scams”. 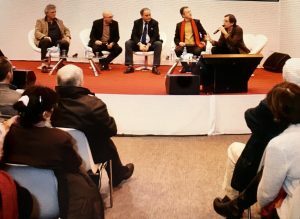 The conference was organized by CLE Paris. Law educators, lawyers and legal professionals from a variety of countries gathered to discuss globally and technologically diverse legal services and law systems and the recent changes. The speakers from Université Panthéon Sorbonne and Université Paris 13 discussed the Civil Code from Napoleon to the 21st century. Napoleon after the second Italian campaign seeking to draw up a code of laws involved two jurists specializing in common law. Napoleon was the chair in the sittings of the conseil d’Etat started in 1801 that two legal styles, common and written were discussed. Napoleon Code made civil law more accessible and was considered a modern civil law system. 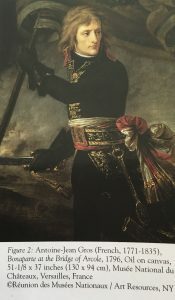 Napoleon Code required judicial interpretation and the judges were prohibited from judging a case based on a general law creation. It influenced the legal system across the globe. The Italian Civil Code of 1865 and Louisiana’s Civil Code derived from Napoleon Code. On March 21, 1804 Napoleon presented a new legal code. In 1807, it became known as the Code Napoleon. It’s clarity made it a legal model for numerous nations to adopt. 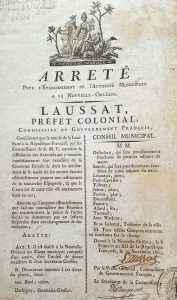 Despite many changes, the code remains in effect in France and it guarantees freedom of religion and equality before the law.